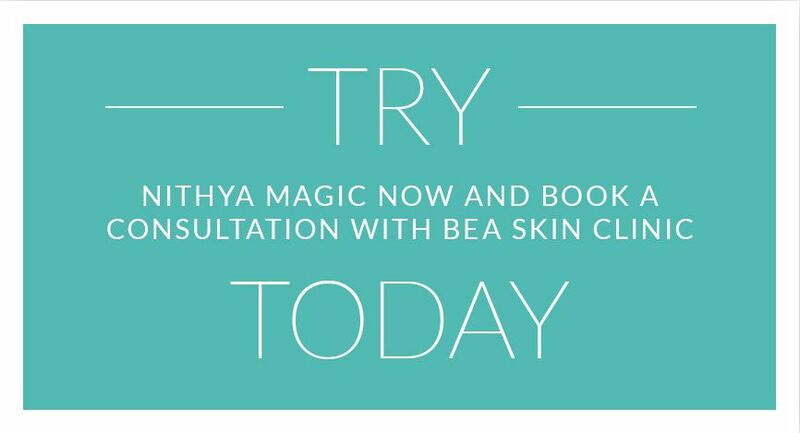 This new anti-ageing & photo-ageing treatment restores the connective tissue of the face and body. After reaching the age of 25, we lose up to 1.5% of collagen from our skin each year thereafter although thankfully, the appearance of wrinkles caused by the loss of our natural collagen can be softened by replenishing our collagen reserves. This is most effectively achieved through the application of Nithya (formerly known as Linerase), an injectable product designed to regenerate the soft tissue of the face, neck, chest and body areas and literally 'Line Erase' all over the face and body. 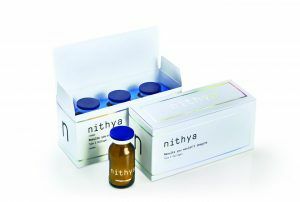 A typical course of Nithya treatments consist of four injection sessions (with two aftercare products). Ultimately, however, the frequency of these will depend on the skin specialist's assessment of the condition of the client's skin. Initial results are visible between seven to fourteen days after the first treatment is performed. Usually, four treatments at intervals of two weeks are necessary in order for clients to achieve optimal results. After the full treatment course of Nithya has been completed, a clear difference in the density and elasticity of the skin will be observable. The results of younger looking skin will last from twelve to eighteen months. Nithya (formerly Linerase) natural collagen injections are 100% hypoallergenic. When administered by an experienced practitioner, there are no side effects apart from temporary erythema (redness) and edema (swelling). Used in combination with a local anaesthetic such as lidocaine, the procedure is virtually painless and well tolerated. 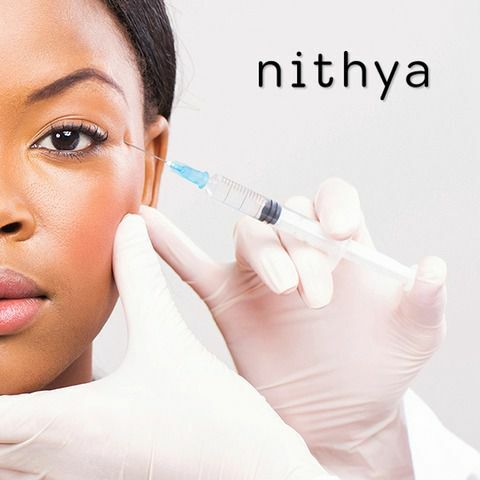 Currently, Nithya collagen injections are ithe only commercially available Type I collagen today. They have received widespread approval for use in aesthetic medicine. 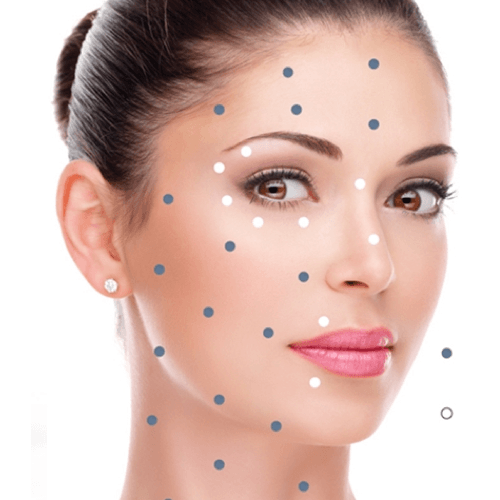 Nithya collagen injections are administered using a fine needle. The amount of time our practitioners require in order to perform one Nithya treatment depends on how many areas the client wishes to treat. As a guide, a single facial treatment takes approximately one hour. 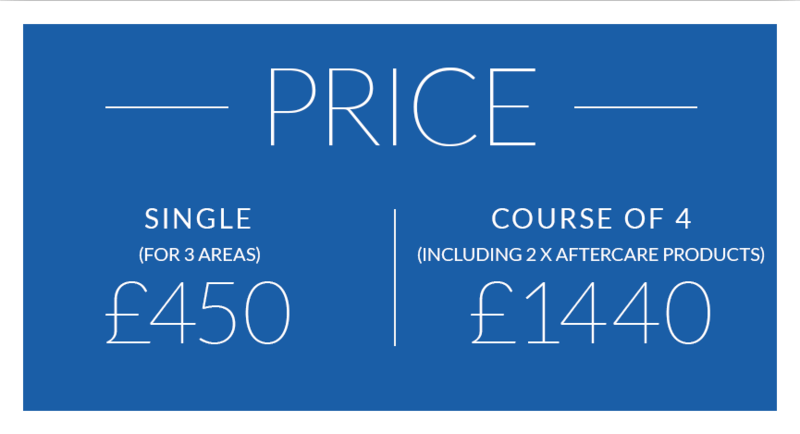 Two aftercare products are included in the course price. The treatment can be used on all areas of the body including the face, chest and hands. It can even be used to plump the buttocks. After the Nithya procedure, redness, swelling, itching or tenderness may appear at the site(s) of injection. These reactions usually disappear after a few hours, but they may persist for up to seven days. It is important to massage the sites at which the injections were administered afterwards. One of the most advanced injectable treatments for body and facial chrono and photo-ageing available today.